Buffet − It has high legs than the sideboard. 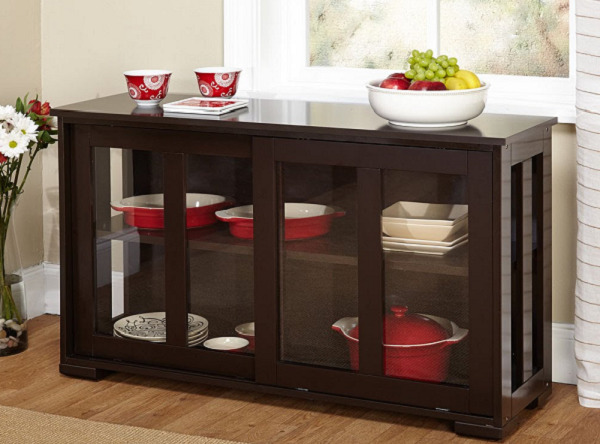 Credenza − They are the storage cabinets without legs. They mostly have sliding glass doors. Server − A server is smaller, shorter, and more formal than a buffet or sideboard. Sideboard − It has short legs. 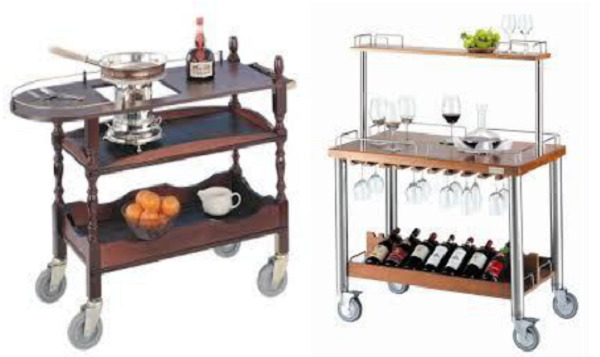 It is a serving cart used for serving as well as storing. It has wheels which enable it to move easily around the kitchen. It is also used in elite food and beverage outlets for serving the guests. It is available in various designs, sizes, and shapes. You can choose on number of shelves and sections, and burners. When not in use, it is preferably parked at the wall.